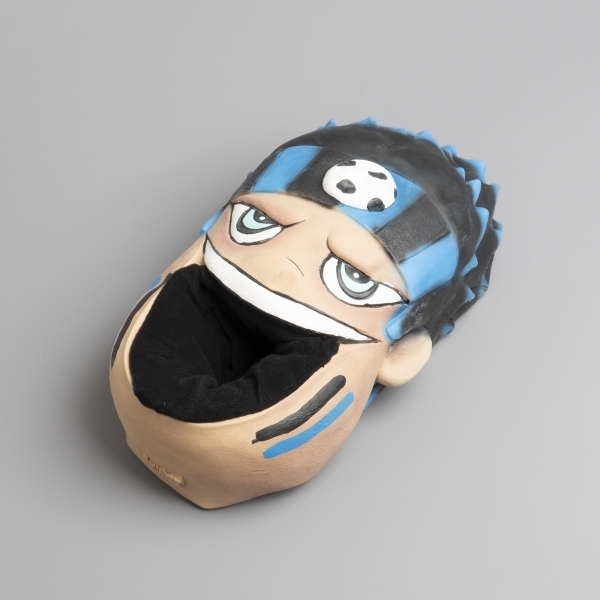 We invite you to try these comfortable novelty slippers. Made with a textile lining, they're super soft and cushion your feet with every step. Slip them on and off around the house with minimal effort, the lining insulates to keep your feet warm and cosy. With a textile sole they are very flexible, giving your feet plenty of room and comfort for walking around the house. Also available in other colours. Warm, comfy slippers. Great value and perfect gift for Anime mad teenagers!